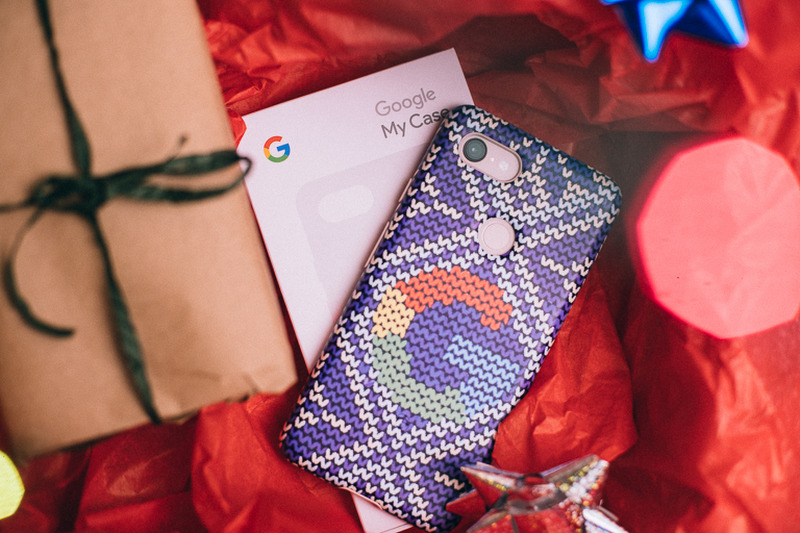 On the final days of holiday shopping, Made by Google gave to me … lots of awesome gift options. Holiday lights are aglow when you turn them on with Google Home (and a compatible smart plug). And to turn on the rest of the lights using just your voice, get our Smart Home Starter Kit. 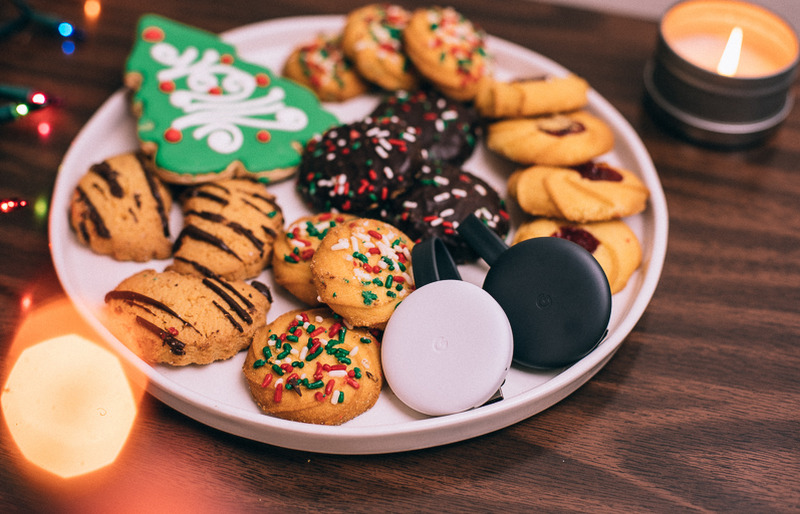 A Nest Hello video doorbell will help you spot holiday visitors at your front door and our Nest Cam will reveal who’s eating Santa’s cookies. With My Case, gift-giving gets personal. Create a case from your saved photos, a favorite map location, or pick one of our curated collections from various artists. It’s the perfect stocking stuffer for anyone on #teampixel. And while we love a good ugly sweater, all images for My Cases are subject to our copyright and content policy. Blast the holiday music with Google Home Max. If you have your hands full making cookies or decorating the tree, you can use your voice to tell it to play your next tune (you may need a subscription to hear your favorite song). To celebrate 90 years of Mickey, we teamed up with Disney and Otterbox to make your Google Home Mini look like your favorite mouse with a custom base accessory. You can also make storytime more magical with Read Along, which adds sound effects and music to stories like “Mickey’s Christmas Carol.” Parents can create an account for kids under 13 through Family Link, and then link their Google Account and voice to Google Home. This one is a bit harder to wrap, but it’s the gift that keeps on giving. With 8GB of RAM on your Pixelbook, you can do multi-task with multiple tabs open. And, Pixelbook’s battery lasts all Silent Night. Our Nest thermostats come in two versions and seven colors. So turn up the heater in style this holiday season, and get the peace of mind that you’re saving energy while celebrating. You can do countless things with Pixel Stand, but here are six of our favorites: it provides Pixel 3 with a fast (up to 10W) wireless charge, you can check the weather before you head out, rock out to your favorite carol, get out of bed on dark December days with Sunrise Alarm, check on packages with Nest Hello (sold separately), and display your favorite holiday memories with Google Photos. It’s the perfect time of year to snuggle up inside and binge watch your favorite show (but you may need a subscription). Chromecast brings countless hours of entertainment to your TV-loving friend or family member. And isn’t that really the holiday gift that keeps on giving? Who needs elves when you’ve got Google Home Hub to bring you help at a glance? With the Google Assistant built-in, you can use your voice to get the best of Google—Calendar, Maps, Search, YouTube, Google Photos, and more—right on Google Home Hub’s display. Compact, and available in four colors —Chalk, Charcoal, Aqua, and Sand—Hub’s right for any room at home. The best things in life come in threes. This year, we introduced the Pixel 3 and Pixel 3 XL, with the power of Google Assistant. Pixel’s award-winning camera gives you the ability to capture your holiday magic in style. And, Pixel 3 brings the best premium smartphone experience to Android, in—you guessed it—three beautiful colors, including the new Not Pink. Pixel Slate—our first Made by Google Chrome OS tablet—is a touchscreen experience that brings the best Google design and Chrome OS functionality together. 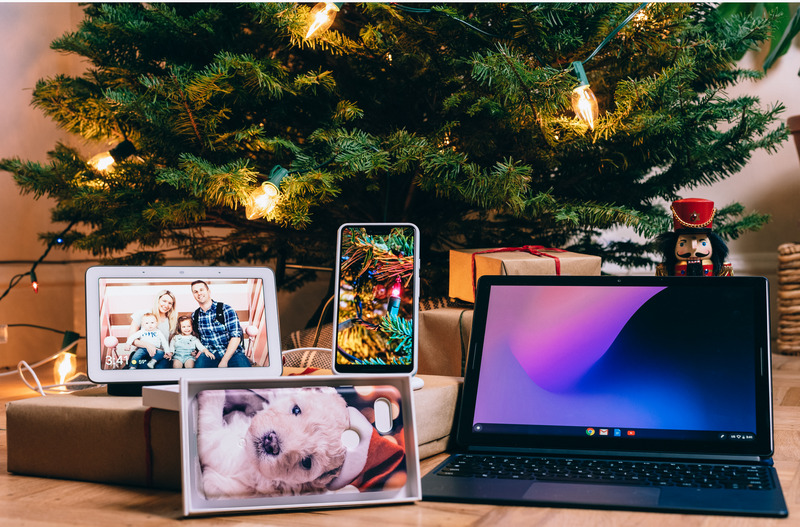 Whether you’re typing your letter to Santa on the Pixel Slate Keyboard or writing out your holiday wish list using Pixelbook Pen, these two gifts are the perfect stocking stuffers to go along with Pixel Slate. The Google Store is a one-stop shop for all things Made by Google. In addition to the perfect holiday gifts mentioned above, the Google Store also features products from our Made for Google partners. And perfect for the holiday season, you can send gifts on Google Store with custom gift messages printed on Google-branded greeting cards. Check out all of the amazing holiday deals at store.google.com.